As many of our guests have experienced, we offer in-room massage services at The White Oak Inn. These services have been provided by the excellent and professsional ladies from Soothing Touch Massage in Mount Vernon, Ohio. Recently the business was purchased by one of its long-time employees, our very dear friend Kim Dean. Kim has been coming to the inn to provide massages for our guests for a number of years. She has relocated the business to a larger facility to allow more services and additional therapists. All of Kim’s massage therapists are licenced and insured. Although most of our guests prefer to enjoy a massage in the comfort and privacy of their own room at The White Oak Inn, some of them enjoy it so much they decide to continue enjoying the services of Soothing Touch when they aren’t staying at the inn. Ian and I recently went for a visit to see the new office. Kim and her talented husband Greg have renovated and decorated the Victorian style building to reflect a calm and tranquil atmosphere, and provide comfort and privacy for their clients. Soft music plays in the background. Small water fountains trickle gently. Live plants and flowers abound. An eclectic collection of art graces the walls. It’s soothing, comfortable and relaxing – exactly what the whole massage experience should be. In addition to standard massage, Soothing Touch will be offering hot stone massages and body wraps. A small gift area sells massage oils, lotions and essential oils. Gift certificates are available. 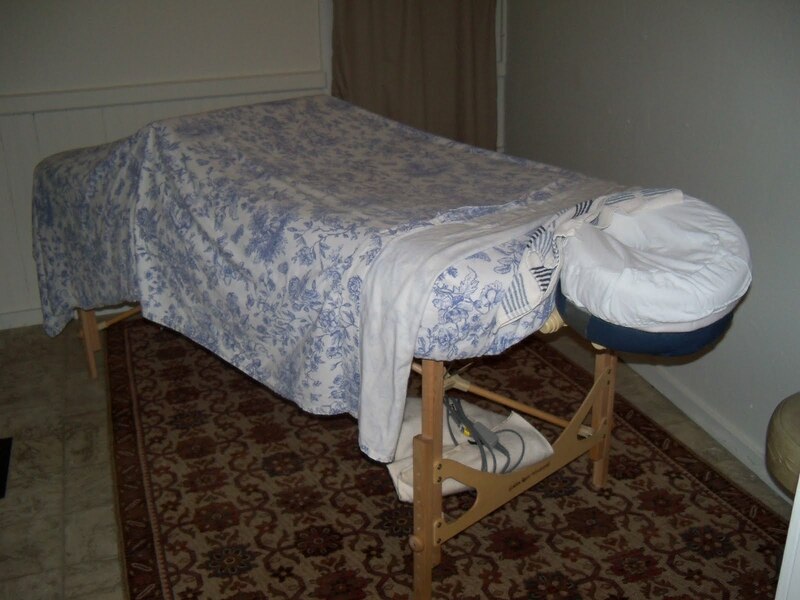 For those guests who book a massage at the inn, the therapist will arrive shortly before your appointment time and set up her table in your room. She’ll start soft music, perhaps light a scented candle. The tables are heated in the winter time. You will undress to the degree of your own comfort and slide under the sheet on the table. And then the bliss begins…. We love to see the faces of our guests after a session with Kim or one of the other therapists. The best description would be that they ooze into the room. Totally relaxed. All stress gone. Guests who have never experienced a professional massage before will rave about the experience. I think I’ve just talked myself into booking a massage with Kim right now! Velvet Ice Cream Festival on Memorial Day weekend — Local farmers market offers local produce, fresh fruits, baked goods, oh my!